Can You Get Better Quality Engagement Rings Online? Wedding apps and websites have become an excellent way to plan that perfect day, transforming the wedding experience as we know it. What many people don’t realize is that the digital road to “I do’s” began with jewelry retailers during the dot com boom of the 90s, with large online retailers like Blue Nile and Brilliance.com hitting the market and changing the buyer experience for engagement rings and loose diamonds entirely. The stress of having a salesperson hovering over you while searching for the perfect symbol of love and devotion is a thing of the past. You now have endless engagement rings online to choose from with no pressure across the glass while you focus on the quality of each ring that catches your eye. There are still in-store features online too. Free shipping, free ring sizing, lifetime warranties, no-hassle returns, and prices for every budget are all benefits of buying engagement rings online. Purchasing engagement rings online can certainly prove beneficial, not only for quality, but also for your bank account. Sure, there are certain negatives associated with making a major purchase sight-unseen. But with a bit of due diligence on your part, you can absolutely find better quality engagement rings online. The biggest problem with purchasing something sight-unseen is making sure that you get what it is you actually purchased. So let’s start by looking at the best ways to educate yourself to make sure you can buy engagement rings online with confidence. 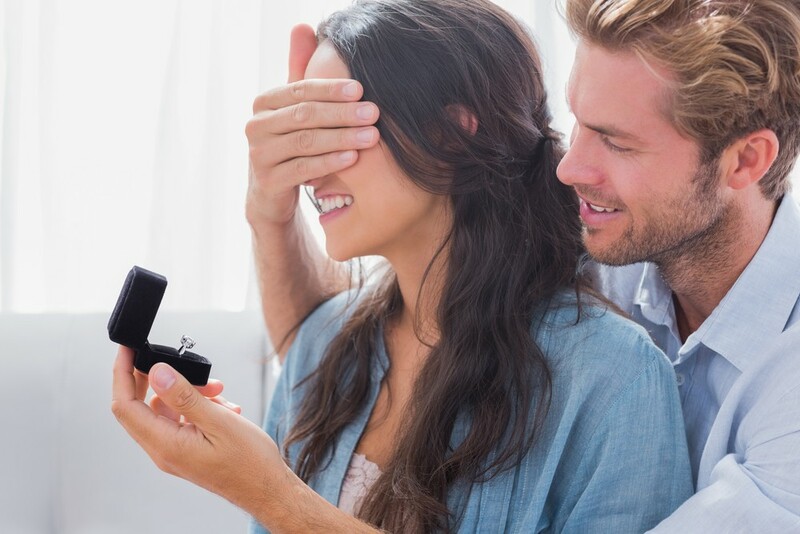 Buying engagement rings online can be as exciting as in-store. However, always keep in mind that you are buying a very expensive item online. This means that scams do exist. However, you can counter this negative with a bit of research. For instance, buying your engagement ring off an ad on Craigslist might not be the best idea. Even eBay is susceptible to scams. Things like “clarity enhancement” are keywords to look for. 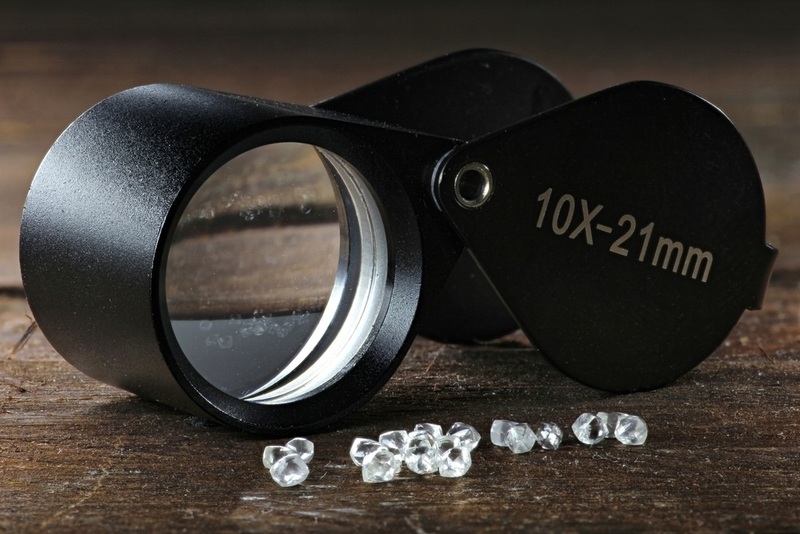 Clarity enhancement of diamonds can cause the integrity of a diamond to weaken, as well as lower the actual value. You want to find reputable, trusted online jewelers to keep from being scammed, or not getting the real diamond engagement ring that you purchased. Be sure to check for third-party, verified reviews when doing your research to see what previous customers have to say about the business. Do you know the 4Cs: Cut, Carat Weight, Clarity, and Color? Do you know the importance of certification? It is always best to compare what a jeweler tells you with the certified report to avoid paying too much for engagement rings of poor value. When buying engagement rings online, or in-store, it is essential to have some basic knowledge of diamonds and gems. This means understanding the diamond grading scales used by trusted gemological laboratories that certify diamonds. Understanding the 4Cs is a great place to begin when researching the quality and value of any diamond. “The creation of the Diamond 4Cs meant two very important things: diamond quality could be communicated in a universal language, and diamond customers could now know exactly what they were about to purchase,” the Gemological Institute of America (GIA) explains. These are the key aspects to review when checking the quality of diamonds in engagement rings online. There are a few trusted third party gemological laboratories that certify diamonds. The GIA and the American Gem Society (AGS) are the most widely known and used. Both of these laboratories even offer online databases of their own certificates, so you can verify the certificate using the report number directly with the certifying lab. Now that we’ve shown you how to avoid any negative experiences, let’s take a look at the numerous positives that come from buying online. Buying an engagement ring is one of the biggest purchases of a lifetime. It’s listed right up there with buying a new car or a house. You want to enjoy the experience without pressure to buy something that is out of your budget. Buying engagement rings online allows you and your partner to focus on quality while meeting your specific preferences and budget. You want to take your time to ensure value, and review the certification. Online jewelers often offer 360-degree views of engagement rings online supported by plenty of details on the diamonds and setting. You can also request the diamond’s certificate, assuming it is not already available for viewing. This is all done from the comfort of your home without pressure from a salesperson more focused on commission then quality. And since most online retailers have a lower overhead, they can put more effort into focusing on the quality of the jewelry they produce. Look for companies that are their own manufacturers and value the art of jewelry creation as much as they value the sale. One aspect many soon to be wedded couples love about buying engagement rings online is affordability. This is mainly due to the lack of overhead brick and mortar locations have, and the fact that the structure of an online business often cuts out the middle-men of the industry to offer direct wholesale pricing to the end-consumer. You can save anywhere between 30 to 50 percent buying engagement rings online. Buying online could be money saved for the honeymoon trip of a lifetime, or money toward the down payment on your dream home. “It may not be as romantic as entering a brick-and-mortar store to buy an engagement ring, but buying online can save you enough cash for many romantic nights,” suggests Barbara Diggs of Bankrate. In fact, most online retailers are diamond brokers, and since that means they do not own the stones directly, working with them on your search should not involve anyone pushing you to a more expensive option, but rather finding a diamond and jewelry expert who wants to see you get the most out of your money, even coming in under budget. If quality, choice, affordability, and no pressure to buy are important, then buying engagement rings online is certainly the right choice for you. Take a look at what Brilliance has to offer, and whatever you do with your savings, hey, it’s on us.